Hannah is an excellent all round pilates teacher. Her classes are tailor-made for individuals at all levels. The atmosphere is relaxed yet focused – her attention to detail is impeccable. You will always leave Hannah’s class feeling very energised and having learned a great deal. We would highly recommend her! Hannah’s experience, patience and good humour make her private classes very enjoyable and physically rewarding. Her keen attention to detail, and improving your movements, ensure you are working correctly and really benefitting from the well planned sessions. Her effectiveness as a teacher means I leave each week feeling stretched, energised, stronger and very happy. I’ve been going to Hannah’s pilates classes for the last 10 years. 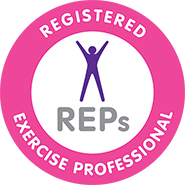 She’s a brilliant teacher – professional, inspiring and creative – and she relates to everyone individually, making sure they have an exercise regime which suits them best. I know that my flexibility, posture and even my back problems have improved as a result of her classes. So… thanks Hannah!